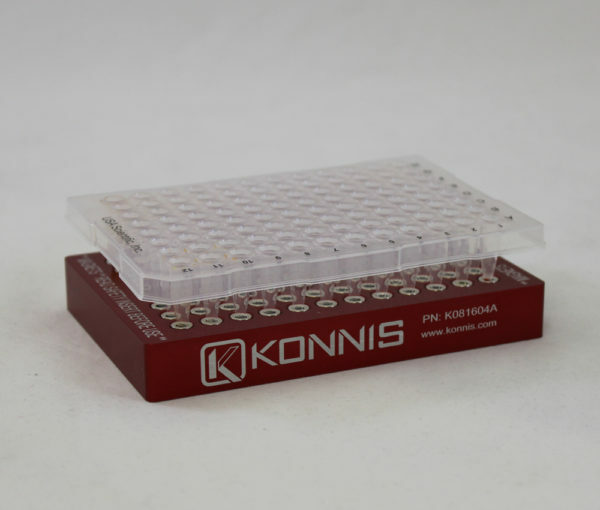 The Konnis designed magnetic bead block is designed for a standard or deep well microplate. For custom plates using small volumes a ring style customized magnet block may be most effective, shown in red. 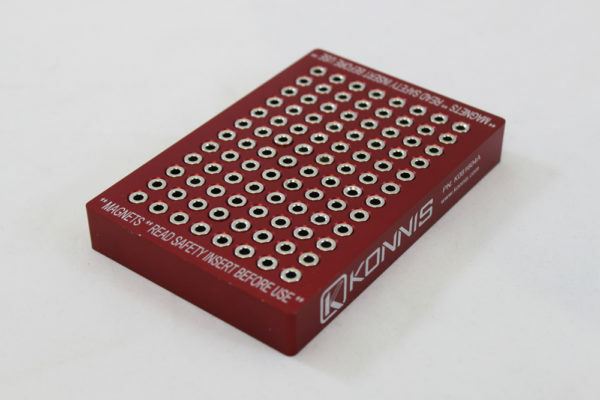 The magnetic bead block can also be manufactured with post magnets. The SBS form factor is a universal fit for any SBS carrier. 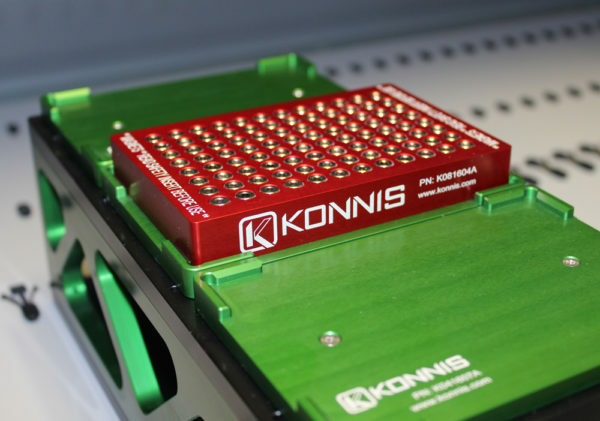 Design allows RoMa arm to move microplates on and off magnetic block for bead separation assays.